Minitokyo »	Shakugan no Shana Scans » Shakugan no Shana: ???? noo. her prettu dress got tatered. is it a book cover? 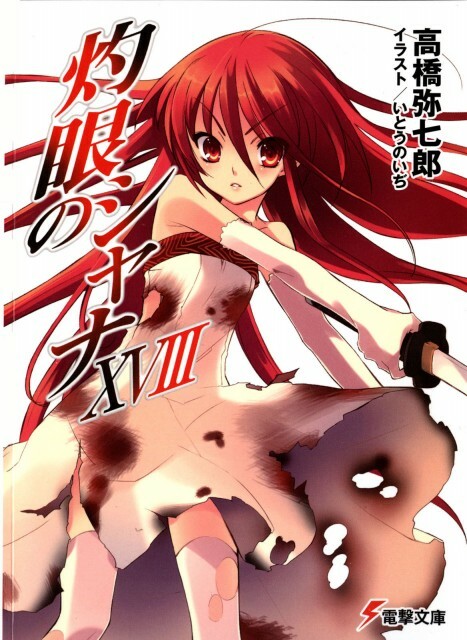 Yes, it's the cover of the newest Shakugan no Shana light novel. And when's the official release on this, anyway? They're always released on the 10th of the month, and it has been nearly four months since the last volume came out, so I'm guessing March 10th?